Not long ago I represented a pair of maternal grandparents in a case in Teesside. They had been closely involved with the family over a period of years, although the mother of the two girls at the heart of the case had moved away (not far) during recent times. The mother had various problems and the father barely featured in the proceedings. A few years back the grandparents had actually taken the older girl under their wing for a while (prior to the birth of her sister) and the girls’ older brother was living with them full time under a court order. A stage was reached where the grandparents were becoming increasingly involved again, almost as respite carers and effectively to keep the local authority at bay, yet with its blessing. Care proceedings became inevitable, but the main factor preventing the removal of the children from mother’s home was the continued involvement and influence of the grandparents. Then the relationship between the grandparents and the children’s mother deteriorated. Things reached such a low ebb that the mother would sometimes collect the children from school and then deliberately “wind them up” before taking them to their grandparents’ home for tea. Consequently, the girls’ behaviour on such occasions became increasingly unmanageable. The grandmother found it necessary to raise her voice to the children more than once as a direct result of the manipulation of the mother, who it transpired was making clandestine recordings of these episodes on her telephone. She then took these recordings to the children’s services as evidence that the grandparents were acting inappropriately and unable to control the children properly. The mother’s plan appeared to be that if, as seemed likely, the children were to be removed from her for a variety of reasons, she would sooner see them taken away from the family entirely than let them flourish with her own parents, notwithstanding the clear attachment between girls and grandparents. Sadly, the local authority fell for this scheme. The children were placed into foster care as a direct result of the recordings (although the only actual bad language on them was contained in the grandfather’s consistent appraisal of the performance of Middlesbrough football club). Placement proceedings followed; there was even a risk of separating the sisters on expert advice. The Guardian felt compelled initially to support the local authority’s care plans. Fortunately, however, the highly respected consultant child and adolescent psychiatrist – Dr Stanley – accepted that the GPs’ track record was impressive and that with the support and guidance which the local authority could possibly make available, adoption was not necessarily the only solution. The trump card was the grandmother herself. She was so nervous that she was physically unable to give evidence at all initially, actually having to be taken outside the building for fresh air. Then she returned and after two hours of cross examination by the local authority, her total integrity and insight into children’s welfare had won over several people including the judge and guardian. The judge (who will remain anonymous to avoid accusations of sycophancy) took an enlightened and inquisitorial approach and stated in court that she had not reached the point of removing children from their family for being shouted at (there were no substantiated accusations of physical abuse). Grandfather’s evidence added icing and overnight the care plans and Cafcass recommendations changed radically. The GPs’ solicitor was very pleased and I lapped up the undeserved credit. Some months later, the children are happily together thanks to the open minded approach (ultimately) of the various professionals involved and the unwavering integrity of the grandparents. It often does not work out like that, but when it does one ought to appreciate it surely. Christopher Ferguson has specialised in family law for several years. 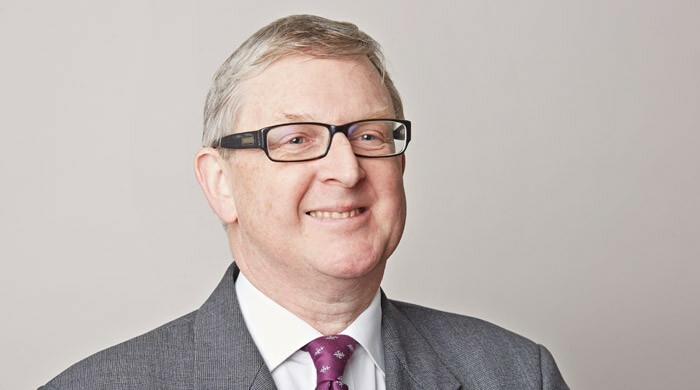 His extensive experience in private and public children’s law includes representing parents, extended family members, local authorities and children via guardians, including the Official Solicitor and the National Youth Advocacy Service.